The spring fishing season in Orange Beach, Alabama means the much anticipated migration of the cobia – a highly prized fish that can weigh more than 100 pounds. When you book an excursion with The Triple Trouble, your deep sea fishing experience may lead you to catching one of these coveted fish. After a beautiful day out on the water and with your trophy cobia in hand, you may wonder what’s next. Well, now, that you’ve caught the fish, it’s time to eat it! Cobia are not only an exciting catch, but they taste delicious too! According to LiveStrong.com, this sweet, almost nutty meat can be broiled, grilled or sautéed and requires only a light seasoning. 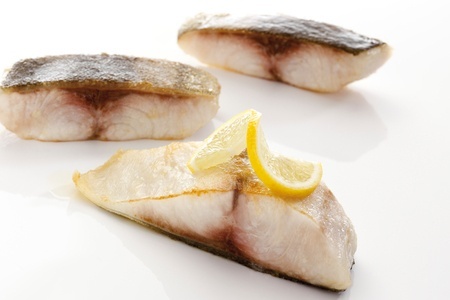 If you decide to broil your cobia, the first step is to preheat your broiler and brush your broiler pan with olive oil to prevent the fish from sticking. Next, season the fish with your choice of lemon juice, salt and pepper. It is suggested to broil the cobia for five minutes on each side. When cooked, cobia will look opaque all the way through. Serve your fish hot with a lemon for garnish. Grilling is another delicious way to serve your fresh catch of the day. First, brush the grill grates with olive oil to prevent sticking and preheat your grill to approximately 400 degrees F. As with broiling, you will season the cobia to taste and cook it for five minutes on each side until opaque all the way through. Use your spatula to serve up your prize to family and friends. Another great way to serve cobia is to sauté it! First, you’ll heat three tablespoons of olive oil in a skillet over high heat. Once the oil is hot, reduce the heat to medium and add minced garlic to infuse extra flavor to the oil. After the garlic is sautéed, season the cobia to your liking and cook for three minutes on each side. Serve when opaque all the way through. Although all three of these options sound fantastic, not all of us are cooks. If you want to eat your catch without the work, take your cobia to one of these local Orange Beach, Alabama restaurants and have them cook it for you: Gulf Shores Steamer, Café Grazie, Louisiana Lagniappe. After you’ve had your fill, it’s time to rest up and get back on the water with The Triple Trouble. Schedule your next deep sea fishing charter in Orange Beach by calling 256-431-5767!